My due date came and I was still pregnant. I could not believe that I was still pregnant. Everyone seemed convinced that I would go early. I’d given up trying to induce labour and just relaxed. I was ok with going over due and just decided to relax and enjoy the last few days pregnant. I think I would of cried if I’d made 41 weeks though. At 3pm I started having pains. I was just about to leave to pick the kids up from school. Pains weren’t unusual for me. I’d had them quite a lot. They even became regular and painful at times so I just ignored them and figured they would just die off like they usually did. I noticed they were quite regularly at every 4-6 minutes. I carried on as normal and sorted the kids out. By 6pm we had finished eating tea and the pains were every 2 minutes and more intense I had to breathe through them. I started to wonder if this was real labour. We got the kids to bed, I tidied the kitchen and I called the birth centre. They wanted me to go in. We called my dad and his partner to come over and watch the kids. We got to the hospital and all my pains stopped. I only had 1 since walking through the door and I was gutted. The midwife wanted us to wait around for a couple of hours to see if anything started up again. An hour went by and nothing so I asked to be examined. 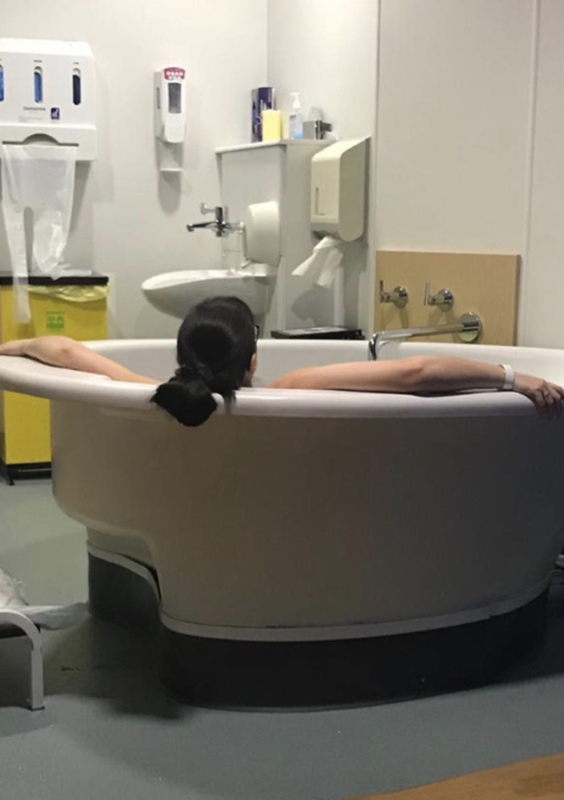 I figured that it would be nice to know if I was dilated and have a sweep to maybe help things along, I wasn’t booked in for a sweep for 5 more days and since it was my due date the midwife was happy to go ahead. I was 3cm at 9pm and very soft but still quite thick. 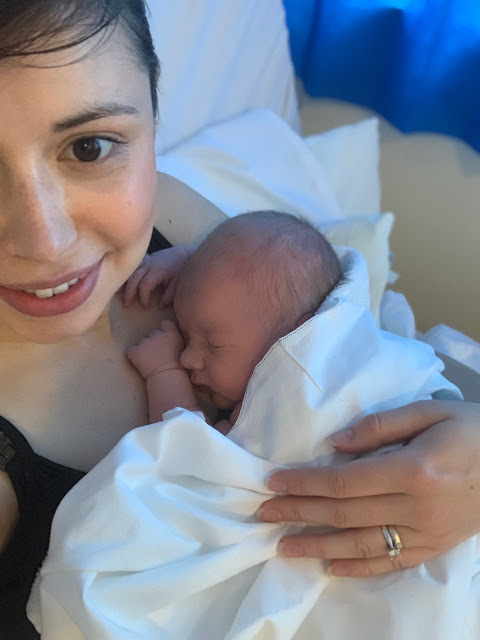 The midwife could feel babies head and my waters were bulging. They made us stay for another hour after the sweep just incase but still nothing so we decided to go home. The midwife thought the sweep had a good chance of working and said she wouldn't be surprised to see us back during the night. At 2:15am I got woken up with contractions, I tried to rest but by 3am they were intense and coming quickly, every 2-3 minutes. The pain then started to travel down my hips and thighs. I called the birth centre and they wanted me to go in again so I called my dad again and he came back over. We got to hospital at 4:30am and I was 4cm. We had progress!! I laboured out of the water for about an hour before getting in the pool. I didn’t want to get in too quickly. I worked through each contraction with Mark by my side. At around 5:30am I got into the pool, I knew i was getting close. At 6:07am my waters went with a pop in the pool and with each contraction I felt the urge the push. My body was taking over and pushing. At 6:17am the babies head was born and at 6:20am the baby arrived. I reached down and scooped him up out of the water. 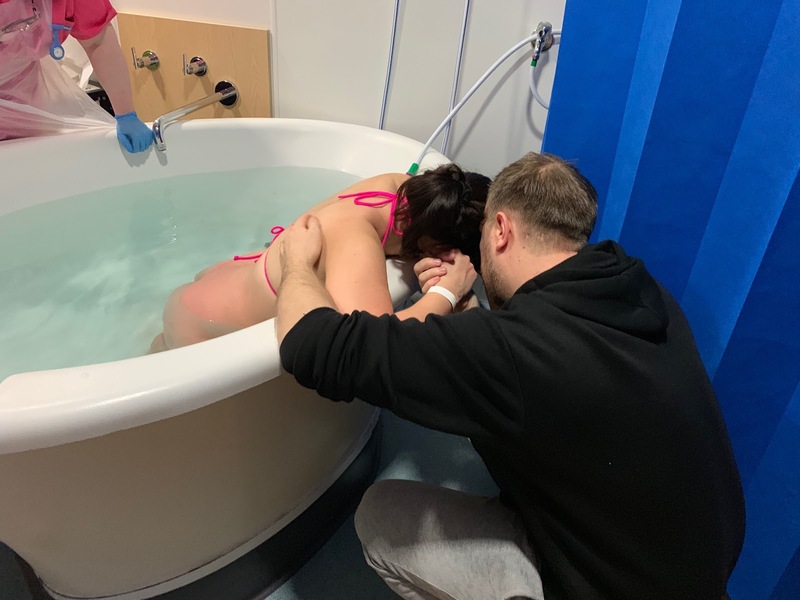 My fourth water birth, no pain relief and exactly how I wished. I feel so lucky and blessed to of had 4 amazing natural water births. Three of which were in the same pool.